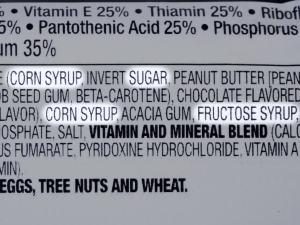 The recommended maximum intake for added sugar is around 10 teaspoons per day. Given that a can of soda has around 10 teaspoons, it's fairly easy to go over the limit. 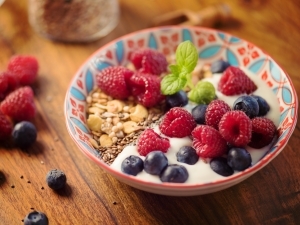 Try these simple tips for reducing the amount of added sugar in your diet. Buy fresh fruits or fruits packaged in water or juice. Avoid those in syrup. Buy fewer foods that are high in sugar such as prepared baked goods, candy, sweet desserts, soda, and fruit juice drinks. Reduce the sugar in foods prepared at home. Try new recipes or adjust your own. Start by reducing the sugar gradually until you've decreased it by about one third or more. Often the sugar in a cake recipe can be halved without affecting taste or quality. Use unsweetened applesauce in place of oil or sugar. Use equal amounts. Experiment with spices such as cinnamon, cardamom, coriander, nutmeg, and ginger to enhance the flavor of foods. Use less of all sugars. This includes white and brown sugar, honey, molasses and syrups. Choose fresh fruit instead of cake, ice cream, candy or cookies for dessert or when you want a snack. Add less sugar to coffee, tea, cereal, or fruit. Get used to using half as much, then see if you can cut back even more. Alternatively, use artificial sweeteners in moderation. Cut back on sodas. Use artificially-sweetened varieties in moderation. Better still, quench your thirst with plain water.